Photovoltaic panels have been providing power for decades. Since 2002, Lorentz has been the world leader in manufacturing solar powered pumping systems. They have recently introduced a solar-powered swimming pool pump that eliminates the filtration energy cost of the swimming pool. Cost–effective, clean and affordable to install, solar pool pumps and heaters are perfect for the sunshine state. Harness the power of the sun for year round savings on solar pumping for your swimming pool. With the Lorentz environmentally-friendly solar pool pumps, the system can circulate pool water from sun up to sun down for FREE – saving money every month and the climate every day. 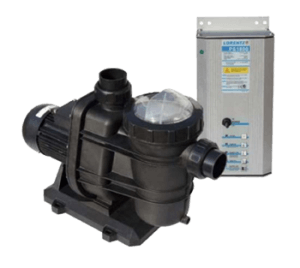 Contact us today for more information on Solar Pool Pumps!